While unhappy SMRT bus drivers displayed their frustration by going on strike, a Serbian Fiat worker has his own way of showing unhappiness - by vandalising 31 unassembled Fiat 500L body shells. The worker scratched profanities and offensive messages aimed at the management of the plant on the cars' bodies . The trade unions commented that the workers had been forced to work long hours and had been denied of cigarette breaks. "It is believed that a single man damaged the cars because the message's handwriting is the same. This is probably due to tough conditions under which the workers operate, the younger ones can bear it but it is very difficult for the older ones. 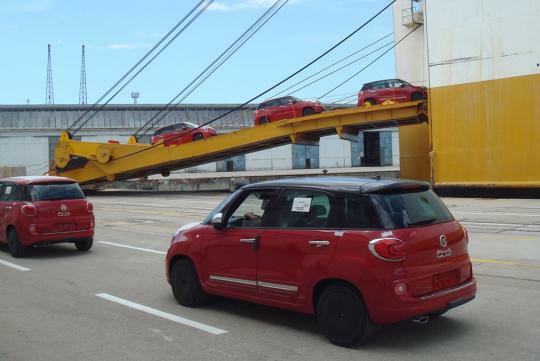 They work in three shifts, under great pressure from management, and the average monthly wage is 34,000 dinars," said Zoran Mihajlovic, President of Fiat Automobili Srbija's trade union. The damaged body shells were re-painted while an investigation has been launched to identify the worker involved.